Spotted playing for Tonbridge Wells Rangers against Chelsea reserves, Harry Ford was a versatile performer who was prepared to turn out in any position, on one occasion, despite his lack of height, even playing stand-in goalkeeper. Right wing was his "normal" position and one of the best in the country in his day. Ford was very quick, an accurate crosser of the ball and posessed a powerful shot. Two of his most crucial goals were scored in the 5-2 extra time FA Cup win against Swindon Town, during Chelsea's run to their first FA Cup final in 1915. But for the intervention of WW1 and the consequential loss of 4 season, Harry would surely have established a record at the time for appearances for the club. i.e. 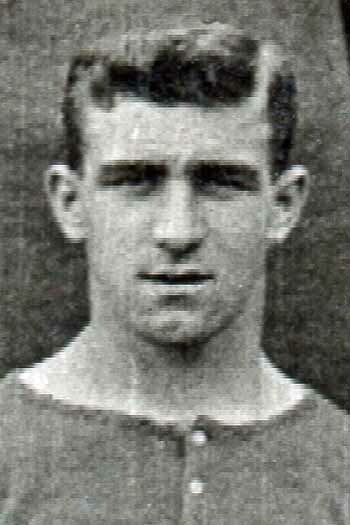 Harry Ford made 248 appearances for Chelsea, of which 0 were as a substitute.